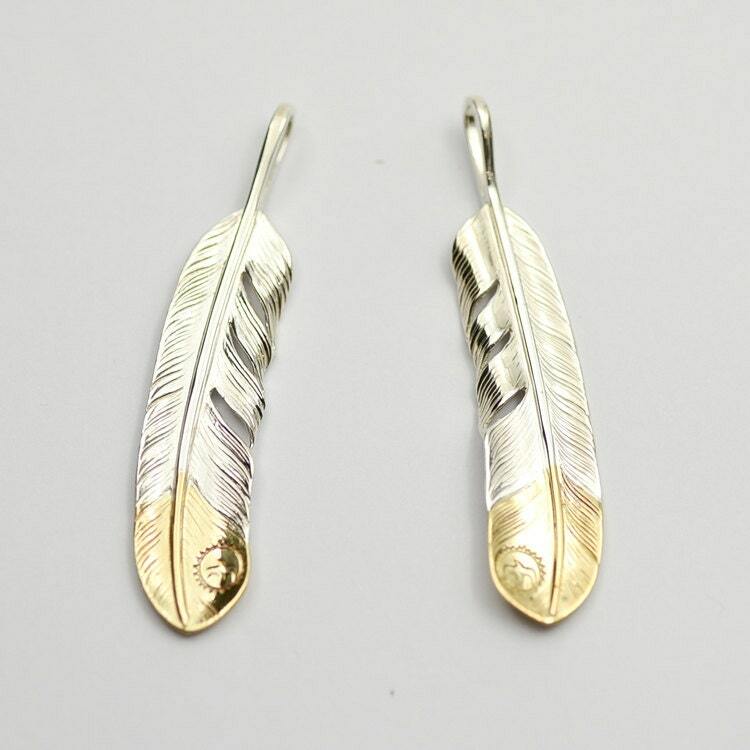 A fine silver feather pendant, crafted in the pattern of the majestic bald eagle. Piece inspired by Native American traditions and art. 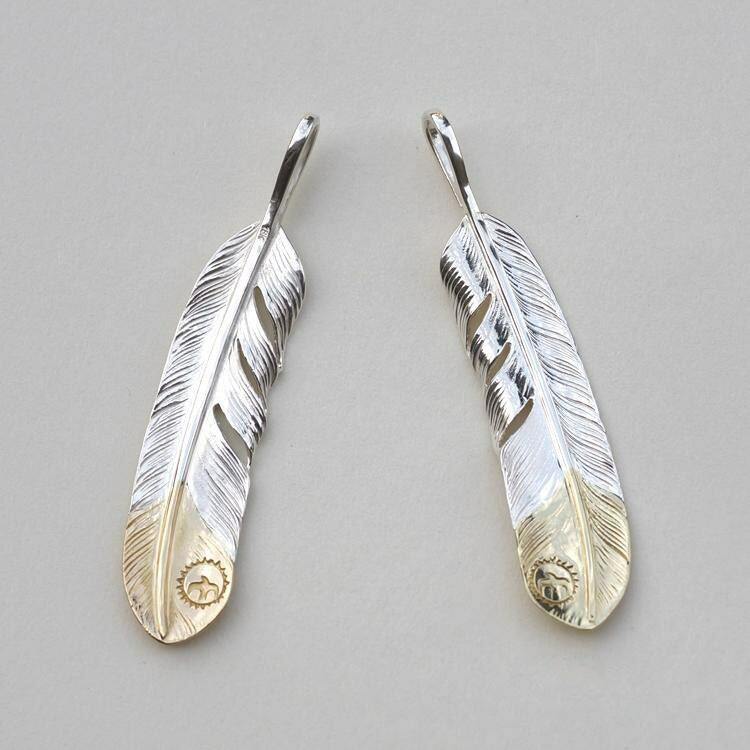 Hand engraved in the exact shape and proportions of a bald eagle feather, with rich details that look all too real. The feather quill is designed into a loop that can take a silver chain or a necklace cord where you want to put this pendant. 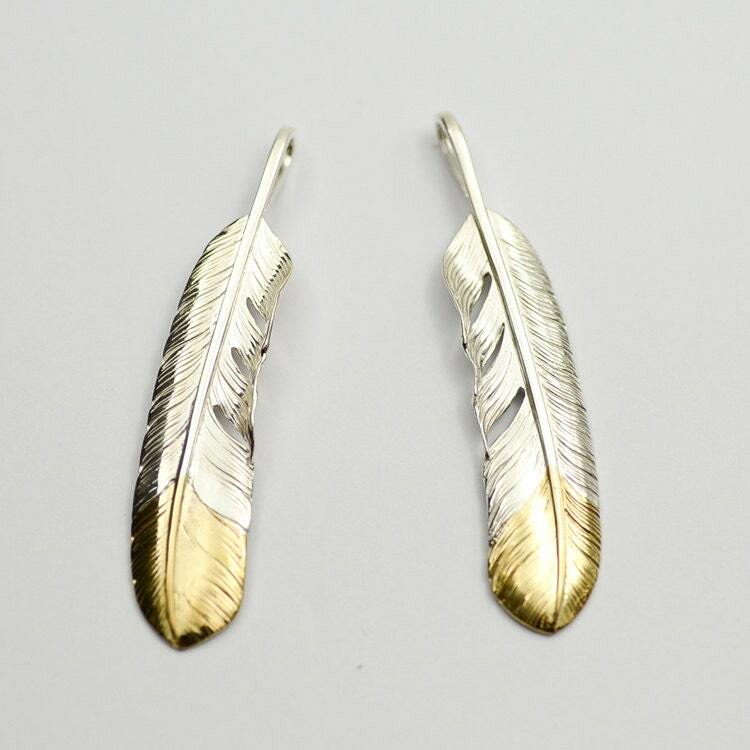 The tip of the feather is crafted in 18K gold, providing a rich contrast of silver and gold in the beautiful eagle feather pendant. 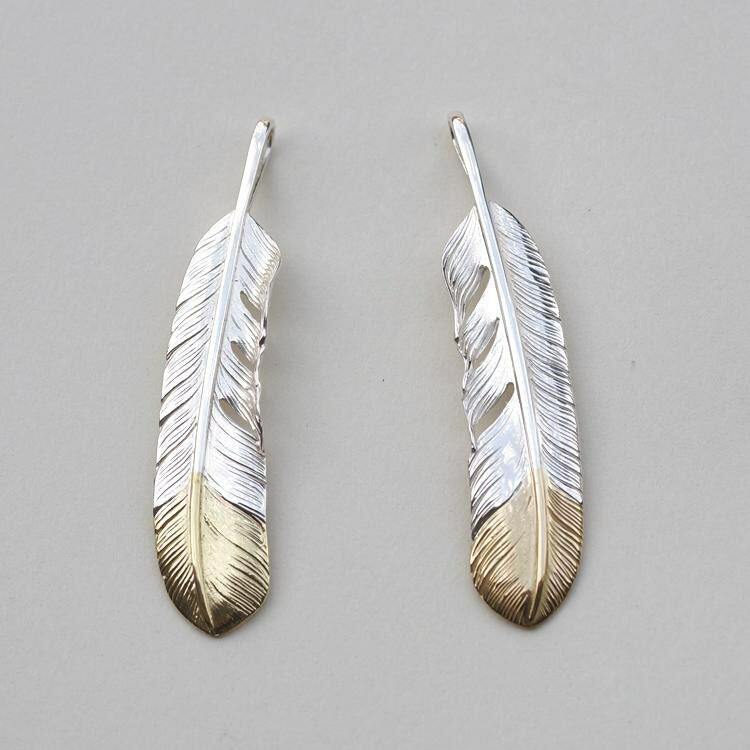 We also offer the silver feather with a brass tip in place of the 18K gold tip. The pendant is available in two finishes - original polished and oxidized vintage.